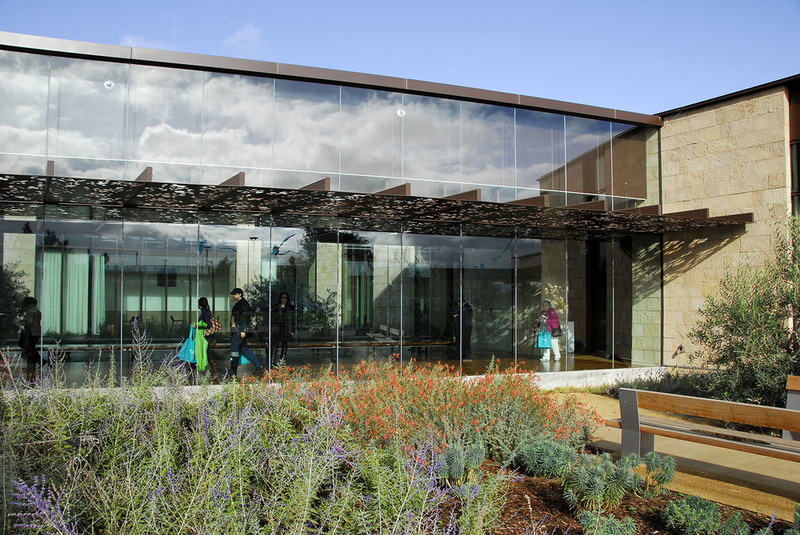 Integrating the principles of healing and regeneration as ‘ecosystem services’, the San Carlos Center is a state-of-the art medical campus on an 18 acre industrial brownfield site. Fundamental to the sustainable site design strategy are the building’s solar orientation, soil rehabilitation techniques, and storm water management. Areas that were once asphalt pavement have become gardens and public open space. Architecture, pedestrian and vehicular circulation, storm water, microclimate conditions and solar access are organized by a high-performance, multi-functional site design that reconstructs place. 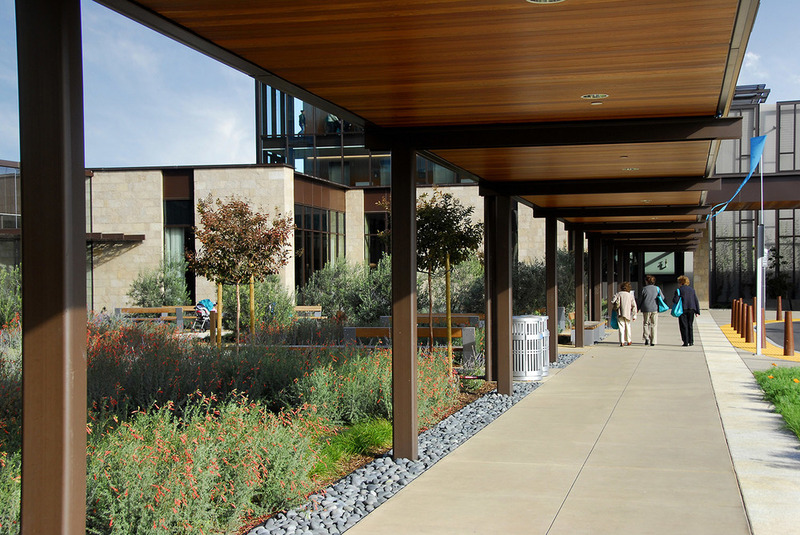 Landscape and architectural space are seamlessly integrated within this flagship campus for the Palo Alto Medical Foundation. Places for relaxation, recovery, recreation and social reconnection are woven through the open building composition. A green roof caps significant areas of the building. Comprised of low-growing succulents and drifts of stone aggregate, the roof creates boldly patterned view gardens for patient and clinic rooms on the upper floors of the complex. Stormwater is collected in a ‘green infrastructure’ system of bio-treatment runnels that order the site and convey the water to San Francisco Bay. An educational and sensory ‘Physic Garden’ celebrates the therapeutic role of natural processes and cultural traditions.